A four-storey building in the Hunthar locality in western part of Aizawl collapsed on Friday amidst demolition works. There were no casualties as the building was vacated earlier. The building collapsed around 3: 00 in the afternoon, while demolition was underway. The building has been on the verge of collapse due to land subsidence since last year. 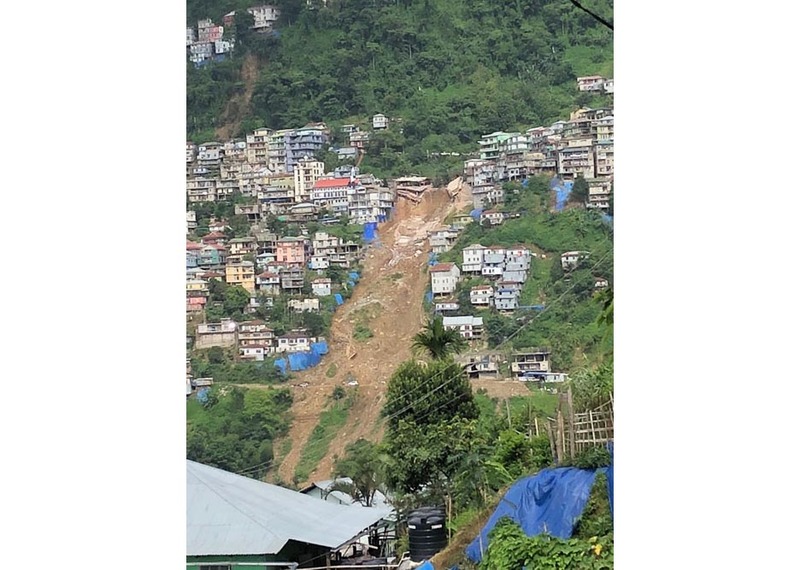 Aizawl DC Dr A Muthamma on June 10 issued a demolition order after which the eight families residing in the building vacated it. Families from another unsafe building next to it were also vacated. The owner of the building was a retired government official, late B Sairengpuii, sister-in-law of Chief Minister Lal Thanhawla. This building and some others nearby ones have been affected by land subsidence since awhile back. The local administration had demolished six other vulnerable buildings while a three-storey building collapsed last year.